Shocked, unhappy at the growing expanse of gray hair — or maybe just the growing expanse! When God looked at Creation on the seventh day, God said, “It is good, very good.” God did not say, “The first forty years or so of human life are very good, but after that it is pretty much downhill”. This Chair Rocks releases – without ever using a religious context – the Gospel News that God ‘s creation of us is “good, very good”, not just for the first half of life but throughout the lifespan., Read it and it will turn your ideas of aging on their head! This is the good news that we should be preaching today in our works of mercy through word and example! How’s that for jazzy! Reviews in many UK publications, including the Spectator and the Irish Times are in the works, and I’ll be coming to London to promote the Melville House edition on May 20th. Stay tuned! 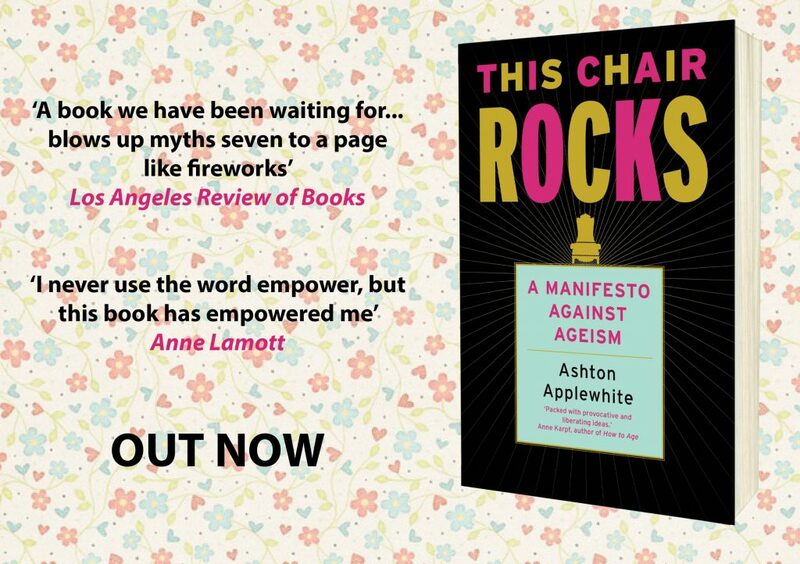 Today’s the day: my book, This Chair Rocks: A Manifesto Against Ageism, goes is on sale everywhere. Please pick up a copy at your local bookstore or order it in any format here. One of the best gifts of 2019 was being on a panel where anytime someone said the word “journey,” everyone had to take a shot. With that in mind, let me say it has been quite a journey, starting in 2013 with many, many months of WotB (“WOT-bee,” for Working on the Book, my shorthand for why I couldn’t come out and play) at the kitchen table ; on to the publisher that had an option turning it down because they were “concerned that no one else is writing about this;” on to the decision to Self-Publish Together to Change the World (a thousand thanks to all who made up that original “together” and helped put the book on the map exactly three years ago); and on to finding the right editor, Jamie Raab, who bought the manifesto in 2018 for the inaugural list of her new company, a new Macmillan imprint called Celadon Books; and on to March 5, 2019 –publication day! She has high hopes, and so do I.
I’m heading out today on a multi-city book tour; details here. 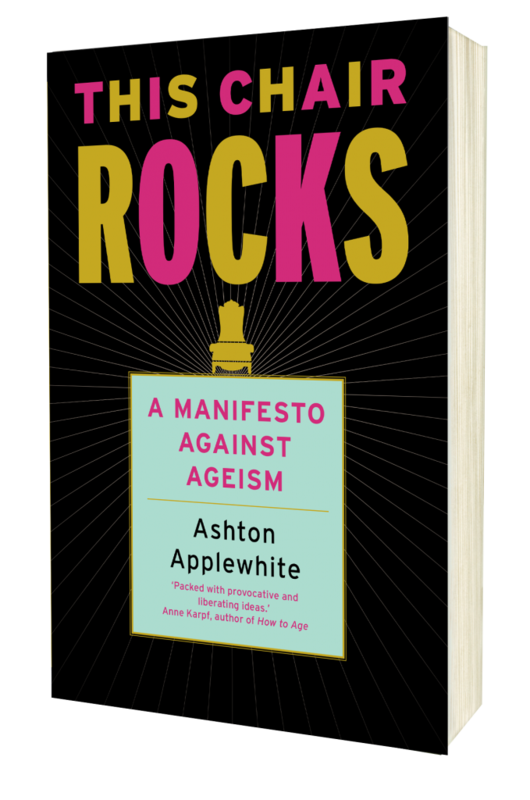 Read the book, find me on the road, join the movement to dismantle ageism and make the world a better place in which to grow old—which is a better world for every one of us. The “age problem” is ageism. In the absence of evidence that the older person is not competent or a younger contender more so, calls for new blood are always ageist. After the midterm elections, ageism paired with sexism powered calls for Nancy Pelosi to yield her position as Speaker of the House. It’s hard to imagine an inexperienced legislator handling the build-the-wall shutdown with equal skill and equanimity. Only in an ageist world is experience a liability. Older voters are widely blamed for bringing us Trump and Brexit, yet class, race and gender all predict voting behavior far more accurately than age does. Older people are widely stereotyped as more conservative, yet no one discredits that myth as effectively as Sanders does. Much hand-wringing centers around the notion that an older candidate will depress activism and turnout among millennials. Yet in 2016 more youngers voted for Sanders than for Trump and Clinton combined – by a large margin. The issue is the candidate’s health, not their age. Actuarial tables tell us that the average 80-year-old faces a 36% risk of dying within six years and a 16% risk of being diagnosed with some form of dementia by age 84. That tells us very little about what lies ahead for any given individual. Eighty-year-old senators are healthier than the average octogenarian; many exhibit astonishing intellectual powers and physical stamina. 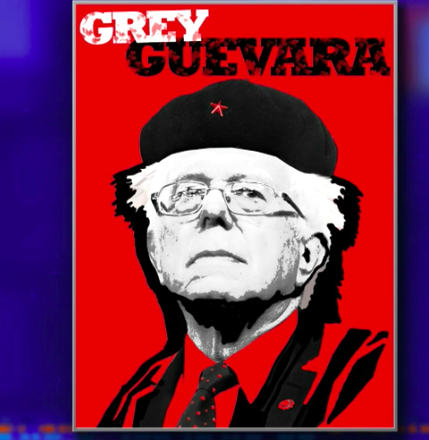 Nor is Bernie Sanders the average 78-year-old. Clearly he should undergo a physical exam by nonpartisan authorities and make the relevant results public, as should all presidential candidates. Clearly Sanders’ running mate should also be in good physical condition. But generalizations about the capacities of older people are no more defensible than racial or gender stereotypes. Period. 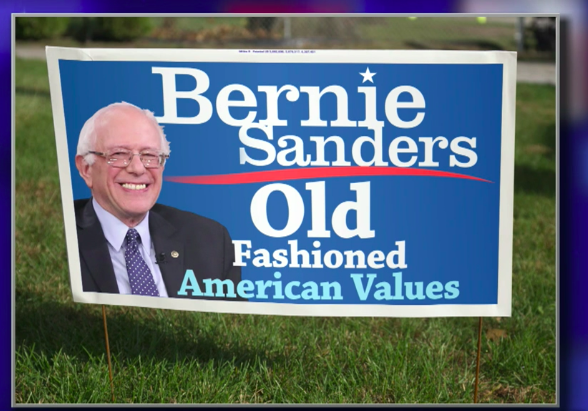 Sanders would turn 80 during his first term in office, and in an ageist world, being an octogenarian is a liability. When he announced his candidacy, the senator placed age alongside gender, race, and sexual orientation as a criterion for diversity, calling for “a nondiscriminatory society that evaluates people based on their abilities, on what they stand for.” Isn’t that the world we all wish to inhabit? It means making ageism as unacceptable as every other form of prejudice, and collaborating across generations and across oppressions to bring that more equitable world about. 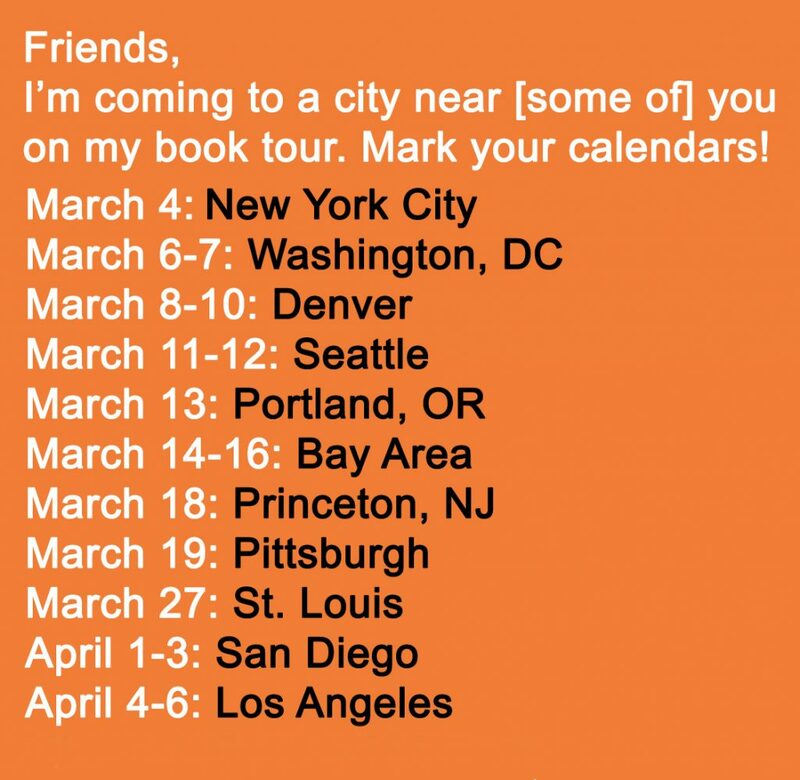 Here’s my latest newsletter, with the updated schedule for my 10-city-and-counting book tour and info about pre-ordering the gorgeous hardcover edition. Celadon Books, a new division of Macmillan will be publishing the book on March 5th, and the tour kicks off at the Barnes & Noble on New York’s Upper West Side on March 4th — also my daughter’s birthday. w00t! My book tour is coming together! What have I been up to? Working on a book tour. 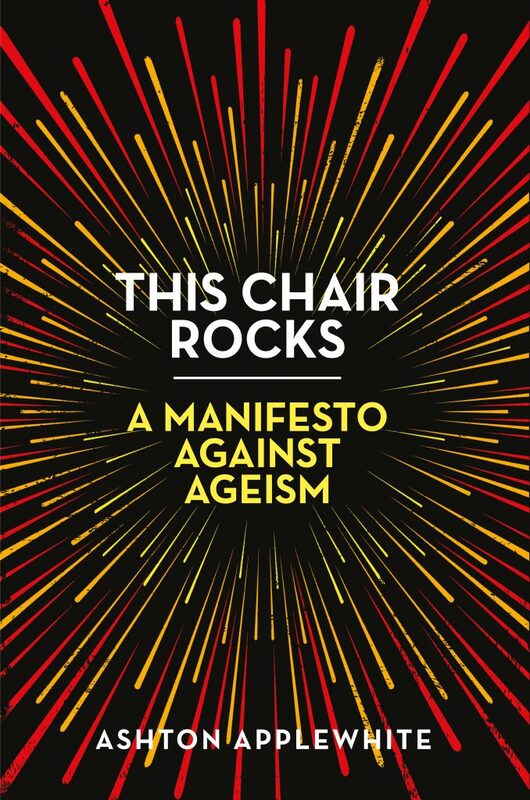 Last year I sold the rights to my book, This Chair Rocks: A Manifesto Against Ageism, to Celadon Books, a new Macmillan imprint, which will be bringing it out on their inaugural list on March 4th and sending me on tour. Very exciting! I’ll be coming to DC, Denver, Seattle, Portland, the Bay Area, Pittsburgh, Princeton NJ, San Diego, and Los Angeles, with a few more cities are still in the works. Here’s the schedule-to-date. I’ll be posting about individual events as they get closer, of course, but feel free to mark your calendars and start spreading the word. What I could really use help with is local media. Not pointing out that “You should be on ‘Fresh Air'” (although of course I should, but Terry Gross has yet to get the memo), but personally contacting any local TV/radio/print journalists you know and putting in a good work about the book and the mission. If they’re interested, let me know (ashton [at] thischairrocks [dot] com) and I’ll follow up instantly and very gratefully. Updates on our campaign to change “Dress Like A 100-Year-Old Day into something very different; anti-ageism campaigns from Europe to Australia; and a sneak peek at my upcoming book tour. Here’s the link.